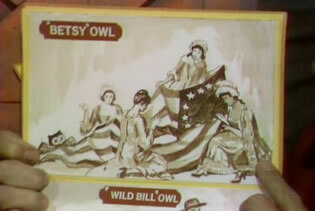 Mister Rogers arrives with a book about different kinds of bread which he takes to the kitchen to share with viewers. Using construction paper as bookmarks, he makes note of some breads he would like to see at Chef Brockett's bakery. As he tears the paper, he sings One and One Are Two. At Brockett's Bakery, Mister Rogers is greeted by Mrs. Schenk before comparing pictures in the book to the breads on display at the bakery. Chef Brockett demonstrates a bread slicer and Mister Rogers buys a loaf of herring bread and four pieces of Syrian (pita) bread. In the Neighborhood of Make-Believe, tensions are high as a large loaf of bread floating in the sky is making its way towards the Neighborhood. 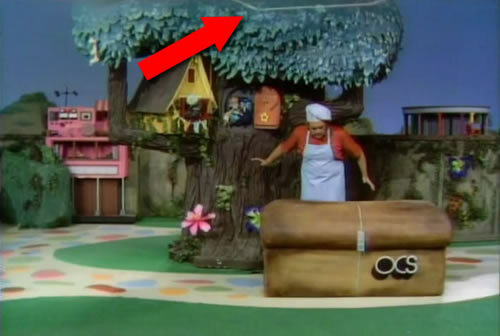 The bread lands near the tree and everyone discovers that the letters "OCS" appear on the side. 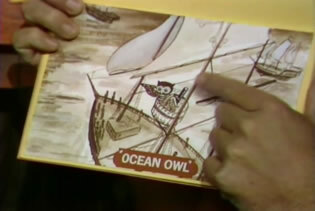 Inside is a circular from the Owl Correspondence School offering X a course in Owl History. After X completes the application, Chef Brockett returns the paper to the inside of the bread which promptly flies away. Back at the house, Mister Rogers uses extra pieces of construction paper to make an envelope. Chef Brockett charges Mister Rogers 20 cents each for the pita bread. He says twice that he would give the herring bread to him as a present, but then charges Mister Rogers 35 cents at the register. 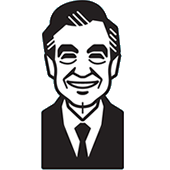 Mister Rogers' total purchase comes to $1.15 but he only has one dollar with him. Chef Brockett suggests that Mister Rogers just pay him 15 cents the next time he's in the bakery. In Episode 1205, Mister Rogers repays his debt of 15 cents. As the bread lands in front of the tree, the frame of the studio apparatus used to lower it to the ground is visible at the top of the screen. 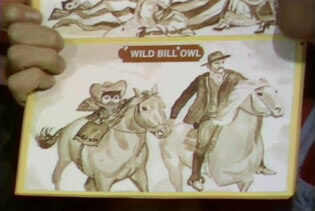 Three characters from "Owl History" are shown in the circular about the course: Ocean Owl who "must have helped Christopher Columbus," Wild Bill Owl who helped tame the West, and Betsy Owl who "helped make the flag."